So what happens to that “left over” $1 billion, assuming other matching donors don’t come forward? Most likely, it will be subsumed in the PEPFAR budget, ensuring that US foreign assistance continues to be largely bilateral and largely focused on global health issues. Here’s a better idea. In just a few weeks, the United States and other donors will be gathering for another pledging exercise, this time to replenish the coffers of the International Development Association (IDA), the World Bank’s fund for the poorest countries. 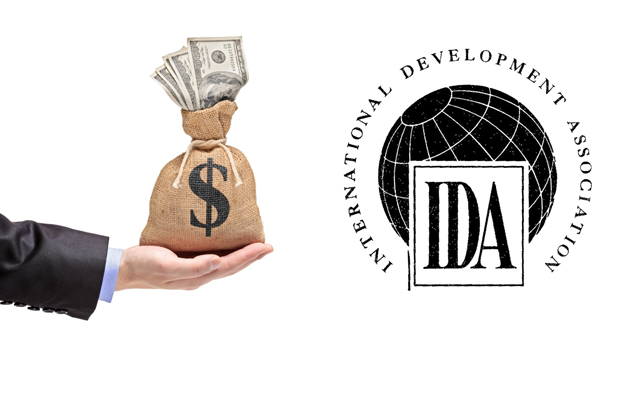 And while the IDA replenishment session (to be held in Moscow) may not garner the attention that the Global Fund replenishment did, IDA itself plays a critical foundational role in poor countries’ development efforts in a way that extends beyond a single sector or initiative. Yes, IDA does health, but it also does jobs, energy access, and infrastructure, among other things. If this list sounds familiar to CGD readers, that’s because these are the very priorities stated by ordinary Africans in Ben Leo’s important new work. Using survey data, Leo shows that US spending in Africa is badly misaligned with Africans’ own priorities. And while he didn’t compare US spending to IDA spending, IDA programming tends to look a lot like that of the African Development Bank in its strong alignment with the priorities of low income countries. Unfortunately, the US ambition on display for the Global Fund this week is proving harder to come by for IDA. For IDA insiders, the prevailing view of a good US pledge is a zero growth scenario of $4 billion, with real concern that the US pledge could actually fall. So why not avoid that outcome by using some of that left over Global Fund money? As I discussed in an earlier post, there are long standing structural problems in the US foreign assistance budget that stand in the way of better coordination around decisions of how much to give to IDA versus the Global Fund. But it might just be the case that a simple coincidence of timing can cut through all of that in favor of a good outcome. What needs to happen? Already, I suspect that Treasury Secretary Lew and OMB Director Burwell are hammering out the details of an IDA pledge. So why not bring Secretary Kerry into that conversation and strike a deal that ensures US leadership in the world’s largest development institution, a goal they all should share. This week, the Board of the Global Fund to Fight AIDS, Tuberculosis, and Malaria was set to name the organization’s new executive director. Instead, after the shortlist of candidates appeared in the New York Times, some in the global health community anonymously expressed concerns about the selection process and its results—and the Board abruptly announced it would restart the process from scratch. As the executive director search reboots, I am looking for candidates that have clarity, concrete plans, and capacity to make progress in three areas—the big 3—that are essential to the Fund’s survival: results, efficiency, and money.